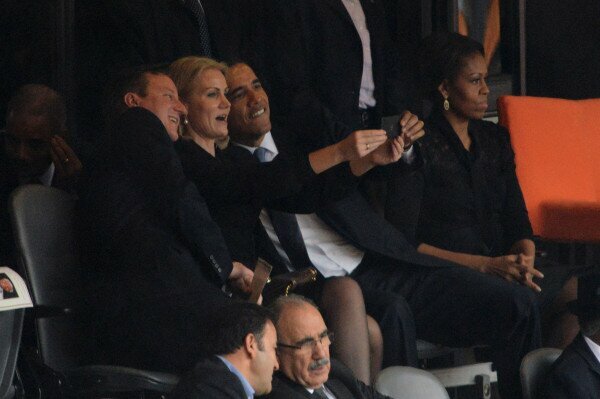 It has photos of people taking selfies of themselves at Madiba’s Memorial. 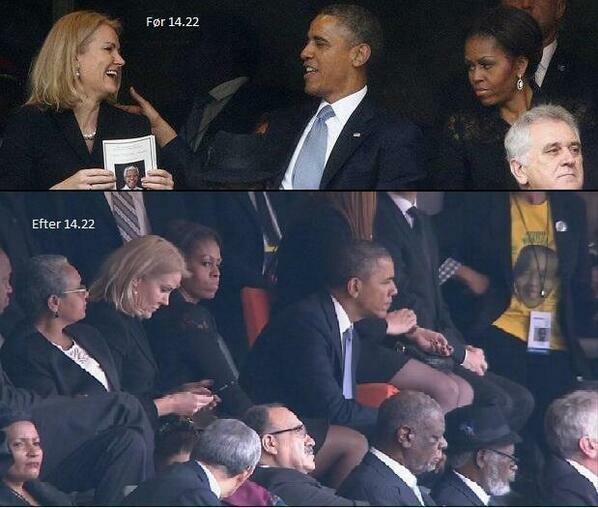 All I am saying is check out Michelle Obama’s face on these pics… LOL! 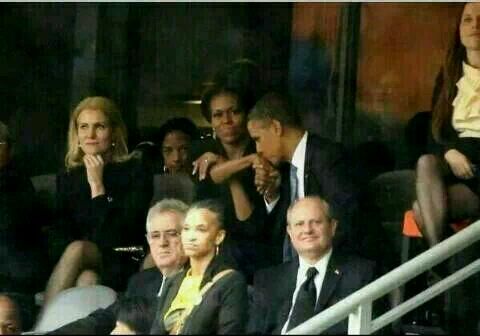 Even though it was reported that she was less thank please with Barack, the photographer says something different here. I am at home this morning, waiting for the handy man to come fix a few things here at the house. He is late… said he was going to be here at 09:00. I have to be at work by 13:00, so you can just see how this is going to work out hey? I have just asked my mother to call our rental agency and tell them that if he gets here at 12:00 I will not be letting him in as our helper leaves at 13:00. 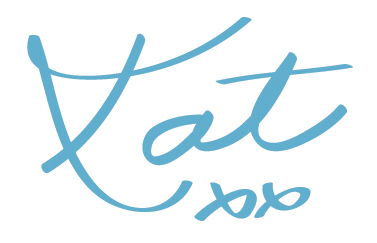 So, while I am waiting, I have finalised my assignment for my graphic design course, three days early. Which is a bit odd for me, but now I can just take it easy this weekend, well not easy as I have a list of things to do that’s as long as my arm. No rest for the wicked and all that. One thing I must do is to fix my Mom’s bookcase, I also need to do some gardening (as our helper is non-existent at the moment) and then go shopping for cake ingredients. My Mom has an order for 250 tarts and cupcakes for next Saturday. So guess who will be icing cupcakes next Friday night? Our little business is not going too badly and soon I’ll be able to advertise my design and photography with the catering as well. It has been really busy at work because of deadlines. That’s where the blog ended, because I received a phone call telling me that the handy man was pulled off by the traffic police. He had unpaid parking tickets and would be detained until those were paid. I used some very foul language as I hopped into my car and drove to work. I am now finishing this post at work. So, as I said, work has been really busy. Yes, it has been deadline week and in all that I have had no time to think about anything else. I have been working every night and I have not even had time to play with my new toy. Before you go thinking dirty things, let me just explain that my new toy is my new Nikon D 5100 .